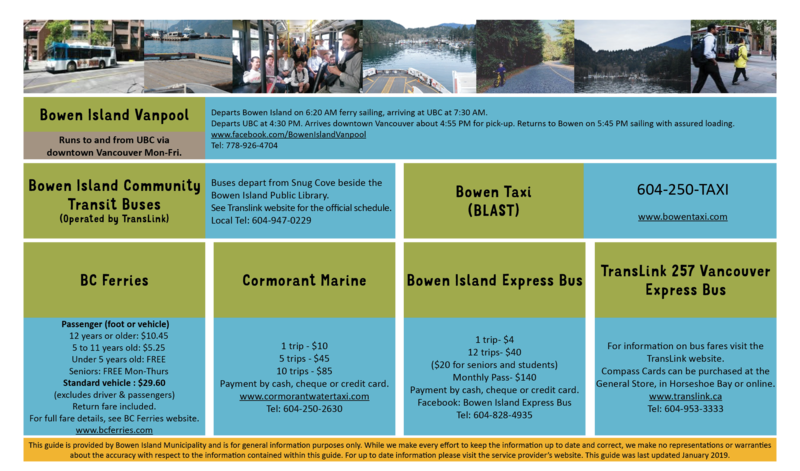 There are several options for getting around Bowen Island and for travelling off the island. There are two community transit bus routes operated by TransLink. The 280 Bluewater runs from Snug Cove towards the western side of the island, turning around at Spyglass Road. The 281 Eaglecliff runs from Snug Cove along the eastern side of the island to Hood Point and back. The 282 Mt. Gardner runs on weekends only. Buses generally leave Snug Cove after the arrival of the ferry, but there are some exceptions. Please check the schedule to determine the departure time. You can use your Compass Card to pay your fare on the Bowen Community Transit buses. Standard transfer times are 90 minutes. However, if you are going off Bowen you will have 110 minutes to complete your transfers on the mainland. And, from the mainland you will have 180 minutes to tap in on Bowen. 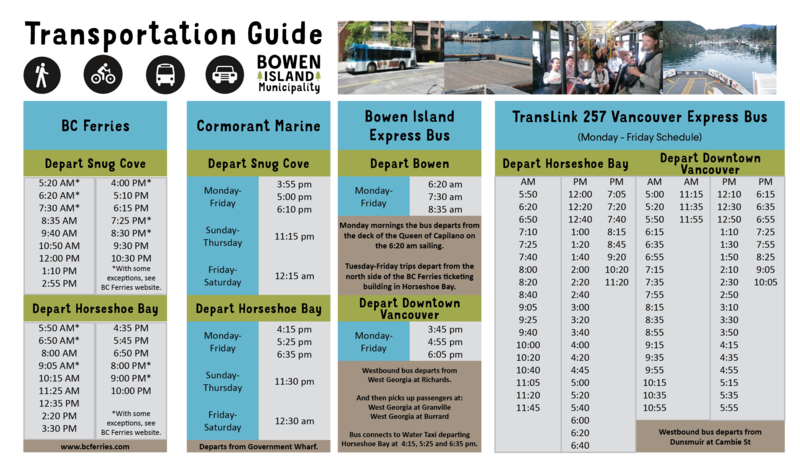 The Bowen Island Community Shuttle Facebook group was created in 2018 for users of the local buses to post and share updates. Bowen Taxi operates a taxi on Bowen Island. You can book trips by calling 604-250-8294. 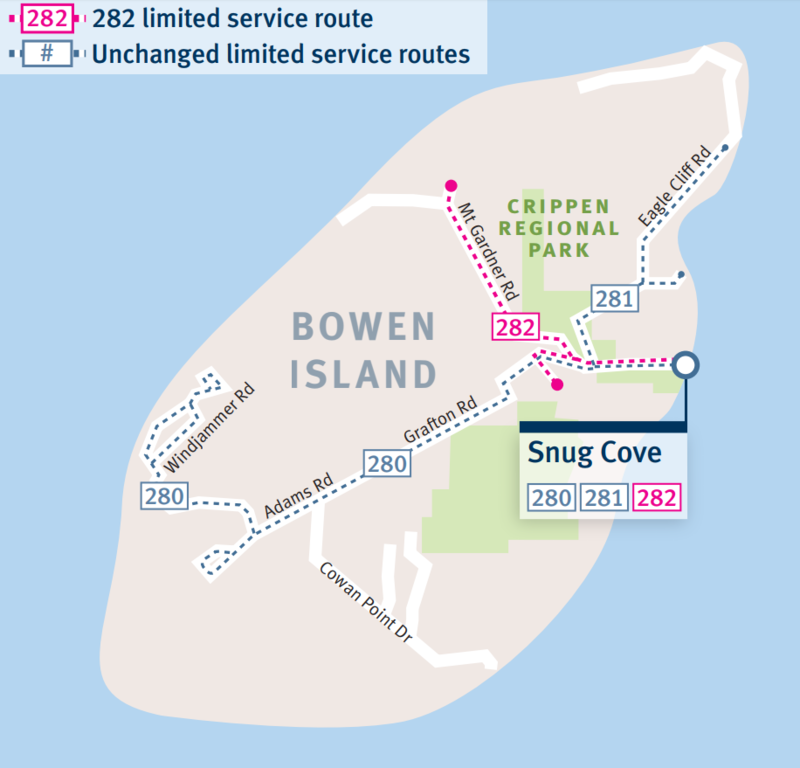 Bowen LIFT is a ride sharing program unique to Bowen Island. Look for the stops along main routes where you can wait to get a ride or pick up someone who needs a ride. The Queen of Capilano provides vehicle and foot passenger ferry service between Snug Cove and Horseshoe Bay. Cormorant Marine operates foot passenger water taxi service between Snug Cove and Horseshoe Bay (and other destinations in Howe Sound). Locally known as "Peter's Bus", the Bowen Express Bus operates express service between Horseshoe Bay and downtown Vancouver during peak commuting hours. The schedule is designed to align with the Cormorant Marine water taxi schedule. This guide is provided by Bowen Island Municipality and is for general information purposes only. While we make every effort to keep the information up to date and correct, we make no representations or warranties about the accuracy with respect to the information contained within this guide. 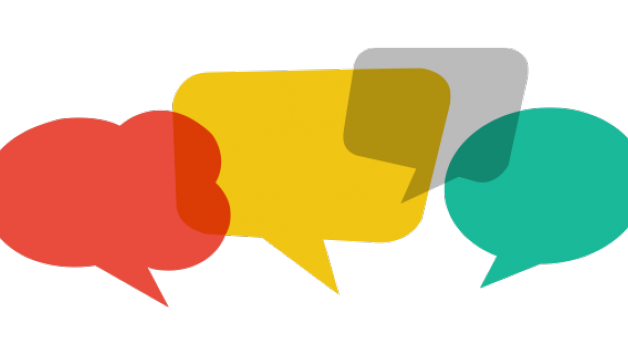 For up to date information please visit the service provider’s website. This guide was last updated January 2019.